medals will be 38.1mm or about the size of an American silver dollar. Ultra High Relief, which makes the portrait and reverse “jump” off the coin at you in 3D. 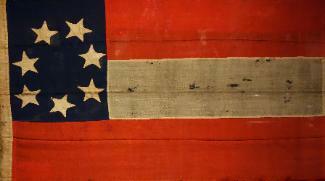 Pennsylvania sons who fought in the Battle of Gettysburg. 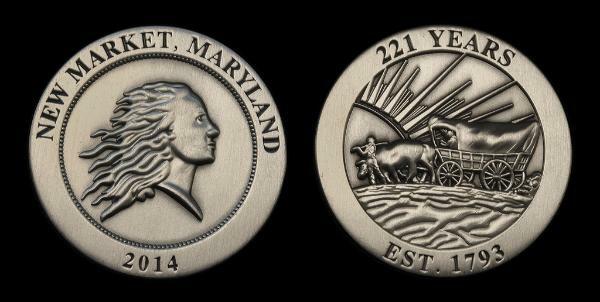 This is the third in the series of medals issued for The National Battlefield Coin Show™. purchase, click Buy Now. 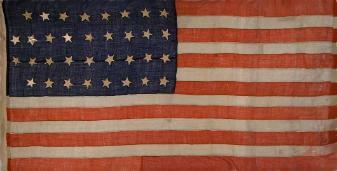 $5.00 plus $2.00 shipping. 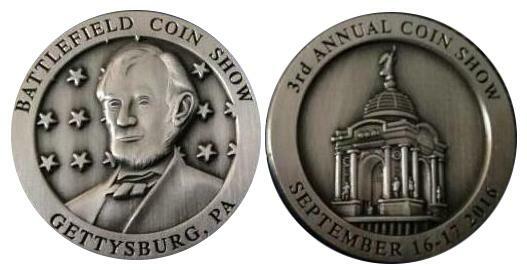 Ultra High Relief, which makes the portrait and reverse "jump" off the coin at you in 3D. 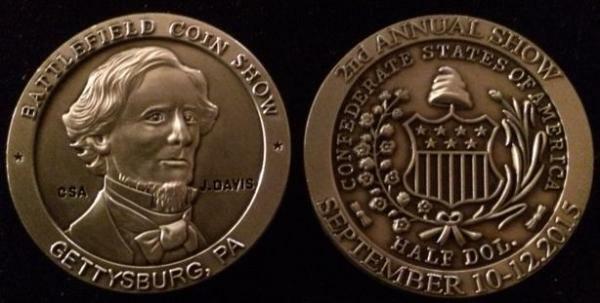 Confederate President and the Confederate half dollar reverse together. WV office, all future shows were cancelled. 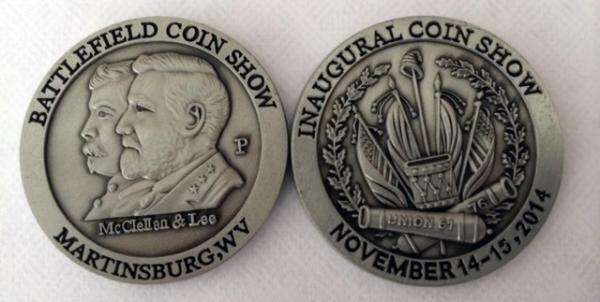 The obverse features busts of Generals McClellan and Lee from the Antietam Commemorative. Show, but the idea did not survive this medal. makes the sides "jump" off the coin at you in 3D. 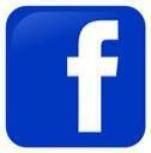 $5.00 each plus $2.00 shipping. Army of the Potomac of the Union Army monument in Gettysburg National Military Park. 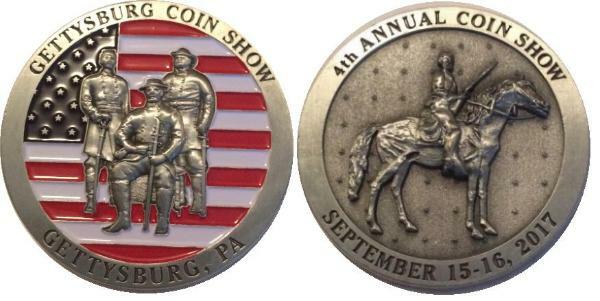 This is the fourth in the series of medals issued for The National Battlefield Coin Show™. 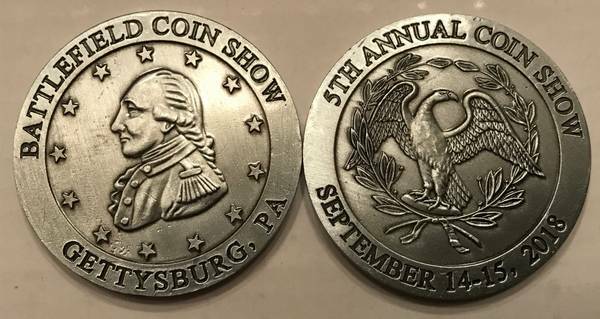 Coin Shows. To purchase, click Buy Now. SOLD OUT! 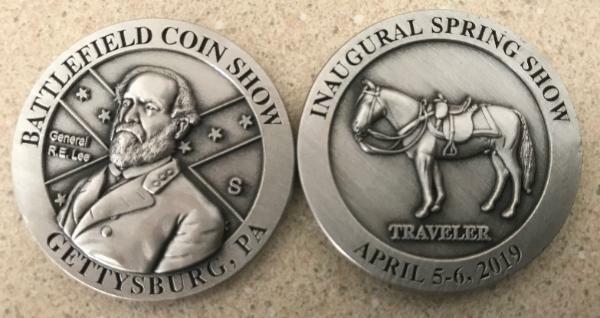 The Inaugural Medal for the Spring National Battlefield Coin Shows™ has arrived! 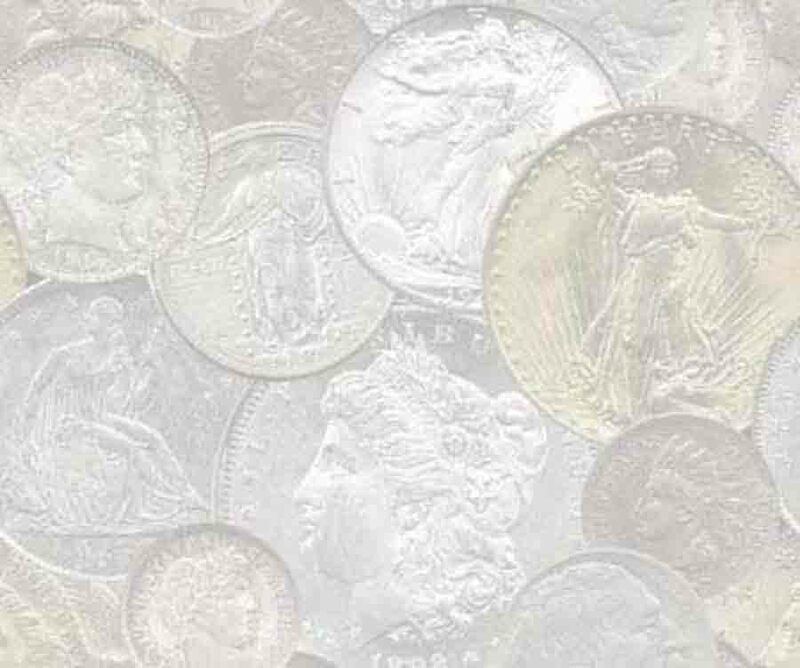 Coin Show.™ For those collecting the series, order early, as we expect a sellout. 38.1mm in diameter and made of a zinc alloy.